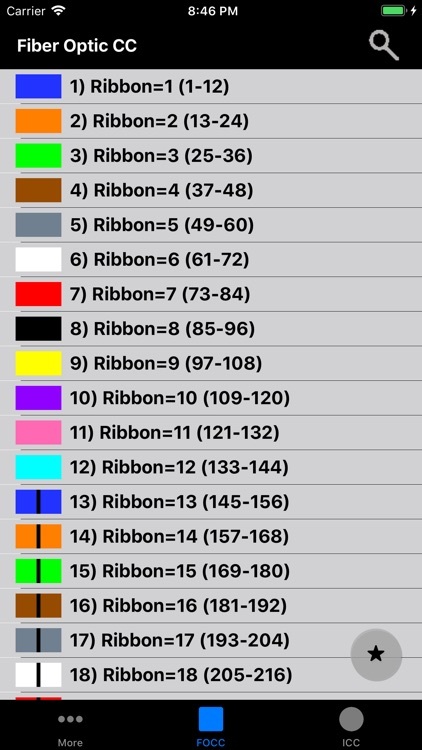 Fiber Optic Color Code is a searchable expanding chart that translates the color code of Loose Tube and Ribbon fiber optic cables. 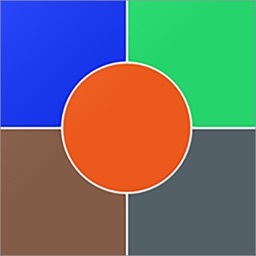 This app shall be used only as a handy secondary reference tool as we know there are mistakes made in the field and incorrect records that always need to be taken into account. Use of a tone source as a primary identifier will always be more accurate. 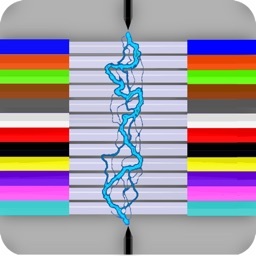 Locate fibers with or without cable counts. 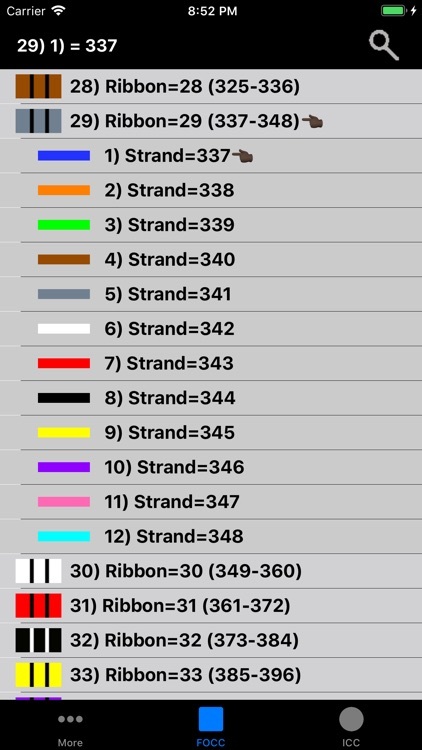 Simply enter a strand # without a cable count or enter the 'Cable,Fiber' if you're using a complex cable count (app auto detects if there's a count or not). 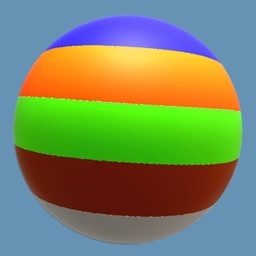 The app will then auto expand and place index pointers at the found fibers locations. 1) Select the round Cable Type configuration button. 2) Select any of the last 5 items in the list labeled as #1-5. 3) Select the bottom left "More" tab. 1) Select the bottom left "More" tab. 2) Then select 'Multinational' from the 'More Menu'. 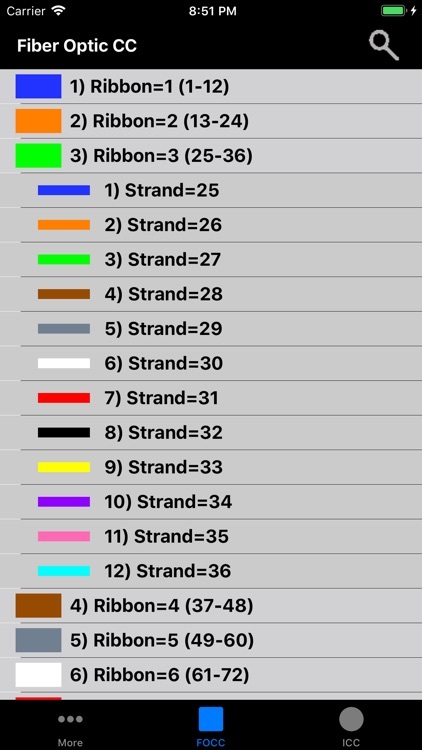 3) Scroll down to the bottom of the populated color code list and select 'Custom Setup'. 4) At the next screen that appears; click the 'Start here' button, then select a color code position you'd like to edit from the list. 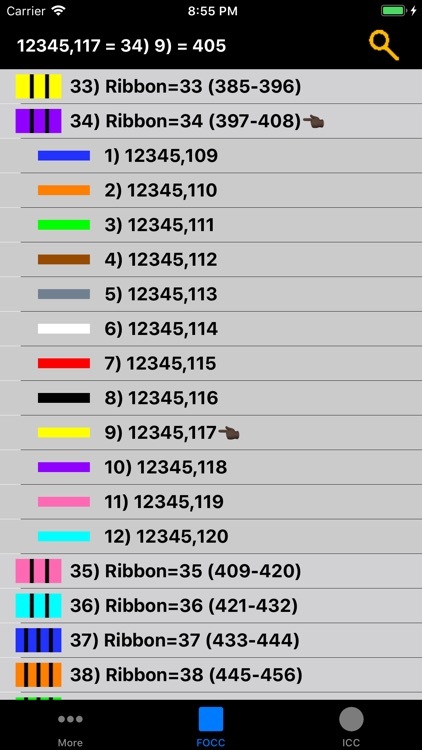 5) Edit the cable list name, tube colors and fiber colors; then click the green check button after reviewing your custom selections to save. 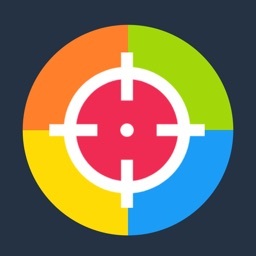 While not necessary to use in the app. 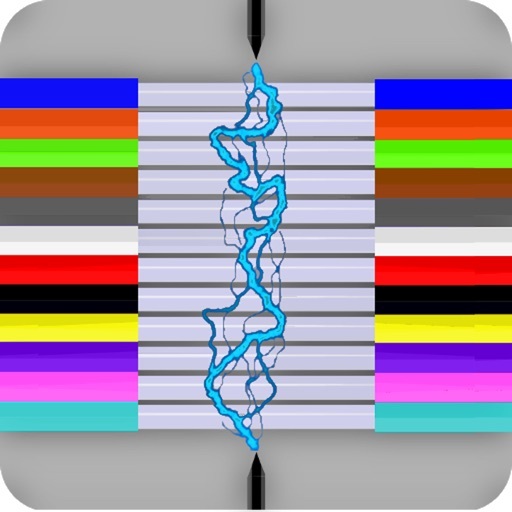 You can enter a full complex cable count that can be split into the cable configuration of your choice (2, 4, 6, 8, 12, 14, 16, 24, 32, 36, RILT #1-5). 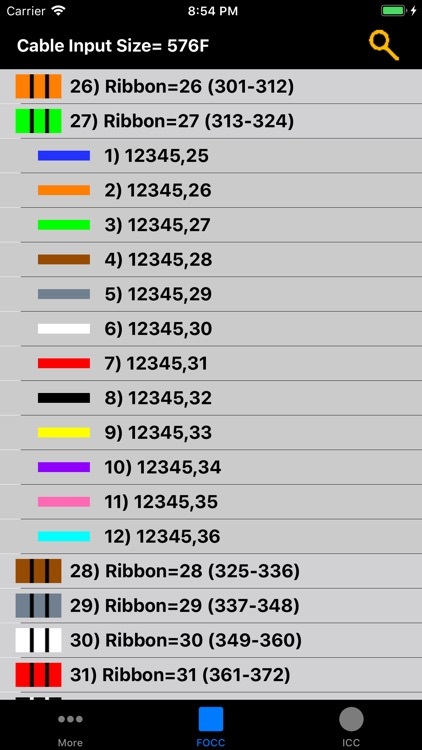 Then you can select the 'Color Code' button to have your custom cable count placed in the easy to use expanding fiber chart where you can locate a loose tube or ribbon cables fiber optic color code, sheath count, and your own custom entered complex cable count on fiber optic cables of up to 1728F+ in size. 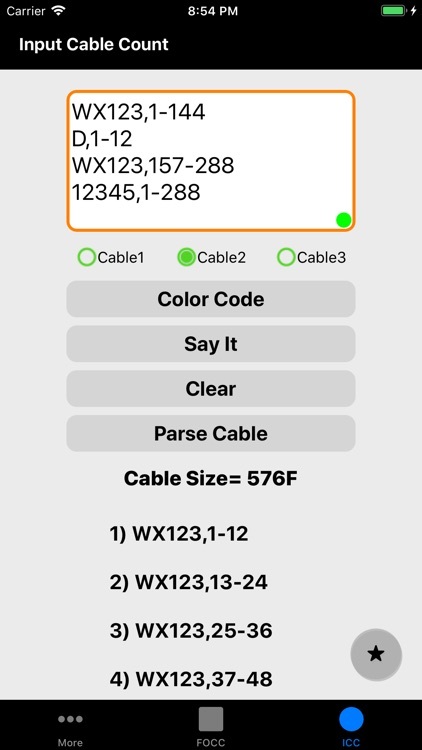 Cable Counts Green validation dot: Provides the user with a simple way to know if the cable count entered is valid for the color code chart. 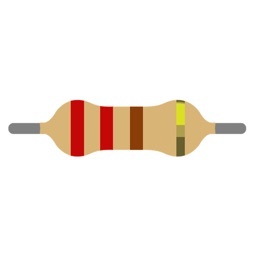 It will turn red if missing a cable name, missing a comma, the low fiber range is greater than the high fiber range, or the sum of the whole cable count is greater than the chosen cable type. Two clicks of the space bar places a separator ("," or ":") after the cable name. 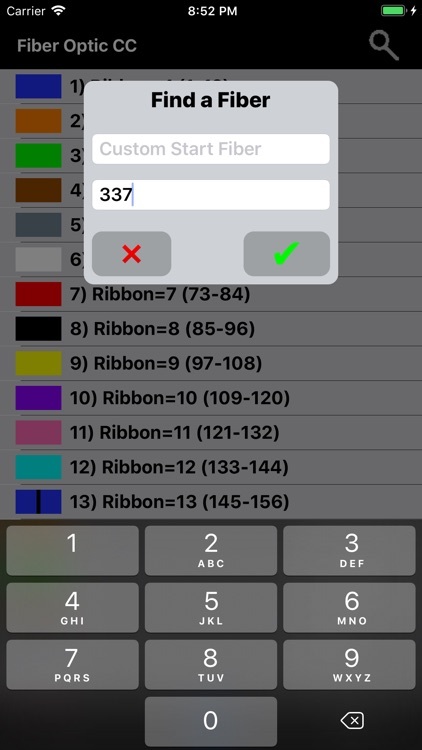 Then once you have a low range fiber entered another two clicks will place a hyphen ("-") and finally when the user has the high fiber range entered (or enters more two spaces after the hyphen) two more clicks of the spacebar will drop the cursor to a new line for the next line of count to be entered. This feature only works while on the newest (bottom) line of cable count. *Customers that use a Colon (":") for cable name and pair range seperation. 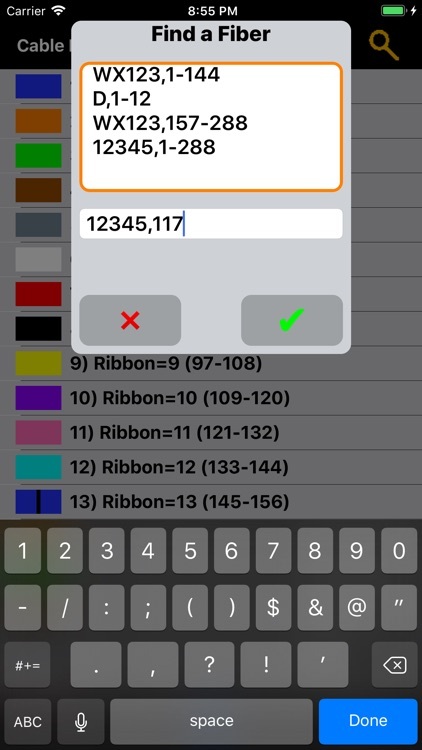 The first time you enter a cable count you will need to manually enter the first line of count using a colon to set the app to use colon separators. 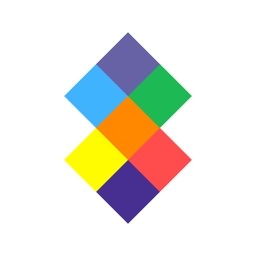 To set back to using a comma you just need to manually enter a comma in the first line to set the app's formation for Double Space Auto Punctuation.